Home Gadgets Simplify the Complexities of Charging now with Wireless Charging Technology! The Experimental Science of today is the Innovative Technology of tomorrow!! Technology has indeed become an integral part and its impact is noticeable in every sphere of our lives. Touching our lives with integrity and reinvention, technology has been bringing about new developments and inventions that ease the day to day tasks of our lives. One of most common hassles that we face in our regular routine is the low battery of our electronic devices. The increasing demands, needs and requirements of the individuals have also led to increment in the electronic gadgets in our lives. Many a times, we face a situation when the battery of such devices is invariably low and we are not in such a place to charge the same instantly. Due to such problems, we tend to lose many of our important deadlines or commitments that ought to be completed on a particular time. 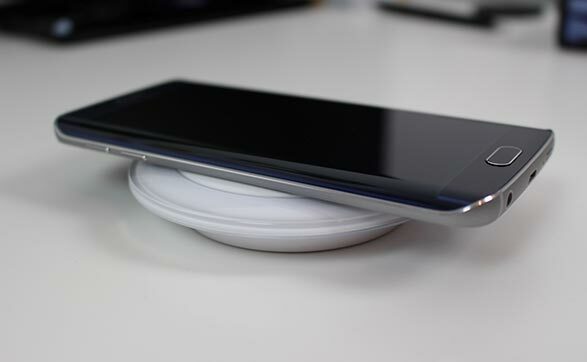 That’s why Humavox’s ETERNA wireless charging platform was invented. It is a flexible and easy to use wireless charging platform that provisions you with the accessibility to create an integration of wireless charging for any size variably designed products. Indeed, reinvention is here probably at the ETERNA platform that makes wireless charging more accessible and approachable to even a layman. Transmission of radio frequency: Through the mechanism of the transport of radio frequency prominently over a broad band of active frequency waves and ultimately making out a conversion of the same into DC energy, the incredible platform of ETERNA facilitates the wireless charging of the placed battery within the domain of the electronic device. Integration of electronic circuitry: The ETERNA encompasses a power receiver which is termed Thunderlink. Integrated as an electronic circuitry in the realms of the device, it plays a significant role in receiving the specialized RF energy that eventually leads to the phenomenon of wireless charging of the battery. Physical charging system: The power transmitter is called NEST, portrays the role of a physical charging station which is the place where the device is charged vigilantly. The generation of the specific RF energy is brought about by NEST after the acceptance of the same from Thunderlink. The merger of Thunderlink and NEST brings about the accomplishment in the process of wireless charging. Charging Optimizer: The ETERNA real time charging optimizer brings innovation straight to you! Ensuring high power and transfer efficiency, this smart charging optimization is all what you need in today’s busy and hectic lives. It manages the energy transmission and brings about high power in a highly efficient energy system. What to expect at the ETERNA Platform? With so many electronic devices that are accommodate in our household, a wireless charging technology has indeed become a need rather than just a luxury. An effective and optimized charging solution is here to solve your charging problems instantly. Charging at the ETERNA platform is as simple and as easy as dropping a coin in abox! As it is a design-free specialized charging system, the charging device could be just anything, a bowl, a drawer, a cup holder, a pencil pouch or just anything! With the liberty of user friendly device and no design constraints, the user is given the complete control on the device. Simplify the complexities of your life with this natural and hassle free device at the platform ETERNA. Anywhere and anytime access brings more power to you and gives you the freedom to charge your electronic device at any point of time and at any place. It provisions the flexibility that can bring about the integration of wireless charging for anyone and everyone. Charging now becomes natural, simpler, easier and accessible at the ETERNA Platform! Gone are the days of problems with charging our electronic gadgets as the rescuer is just a few clicks away from you.